Young members of Congress are changing the way they interact with their constituents by personally posting on their social media accounts in a way that resonates with supporters and voters. The big picture: Every member of Congress is on Twitter, per CNN, and 51% use Instagram, though "many congressional Instagram accounts don't appear to be used directly by the members of Congress themselves." The new class of lawmakers is changing how they interact with constituents by posting on their social media accounts themselves. Democrat darling Alexandria Ocasio-Cortez said on MSNBC: "I think it's so important that we humanize our government. ... It's something you can be a part of." Alexandria Ocasio-Cortez is quick to respond to criticisms and engage with people on Twitter. She tweeted: "My dad died when I was 18, my mom scrubbed toilets + drove drove school buses, I bartended to help her, and still won a Congressional primary at 28. I’ll take my family over a fat bank account any day. ... 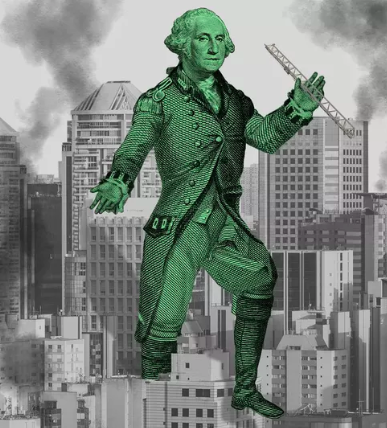 I am the people I work for." Dan Crenshaw recently posted a selfie with the dome of the Capitol during orientation day: "Name that background!" Ayanna Pressley posted an Instagram story of her taking a selfie with three other Congresswomen-elect with the caption "Squad." Abby Finkenauer posted a photo after her first time walking on the House floor: "I sat there in gratitude and respect for my home, my state, my district and the work that lies ahead." 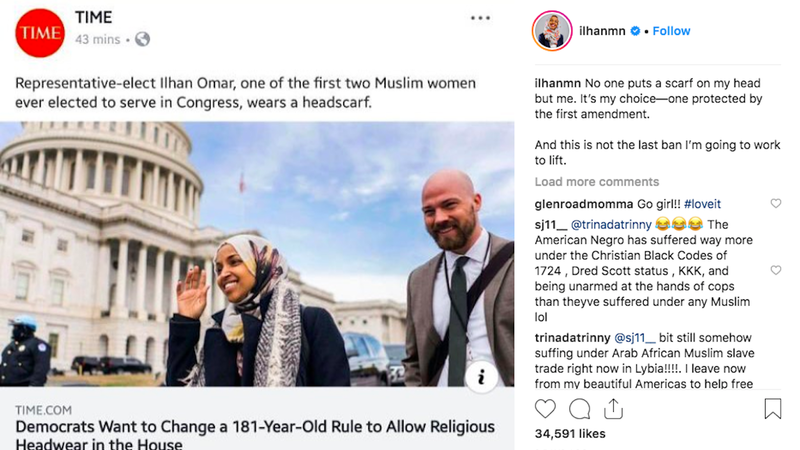 Ilhan Omar, the first Somali-American elected to Congress, posted on Instagram: "No one puts a scarf on my head but me. It’s my choice—one protected by the first amendment. And this is not the last ban I’m going to work to lift."